A special screening of the York Theatre Royal’s adaptation of The Railway Children is coming to The Vue Kirkstall Leeds. Following sell-out performances in York, London and Toronto, Vue cinemas is now bringing the critically acclaimed production to the screen for viewers across the country. The one-off screening will be taking place on Easter Monday, and will serve to be a perfect family activity during the Easter weekend. E. Nesbit’s classic children’s story will be shown at 3pm on 28th March, and tells the tale of three siblings, Roberta (Bobbie), Phyllis and Peter, whose lives are uprooted when their father is falsely imprisoned. Now penniless, the children and their mother are forced to move from London to rural Yorkshire and live by a railway line where their story continues. The performance focuses on the themes of justice, the importance of family and the kindness of strangers, as it tells the tale of how the siblings become The Railway Children. 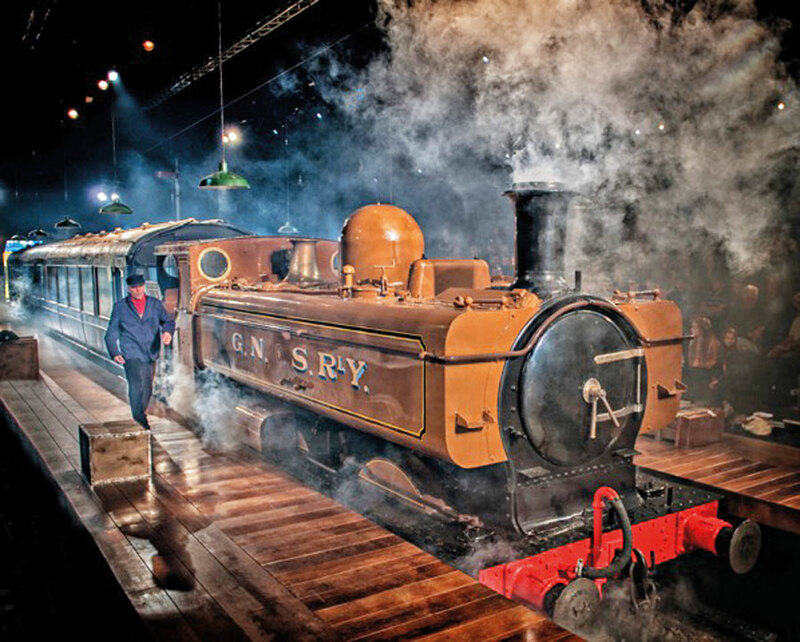 The Olivier award-winning production of the stage adaptation was filmed at the National Railway Museum and also features the original locomotive from the much loved 1970 film. After receiving rave-reviews, make sure you don’t miss out on your chance to see the truly unique performance. www.myvue.com or call 08712 240240. In conjuction with The Vue Kirkstall Leeds we have a family ticket for 2 adults and 2 children to give away. To enter go to the competition page.